Oh how gorgeous is he! Doggy licks and kisses to Dewars! So cute, my friend gets those bandanas for her dog. I love them! 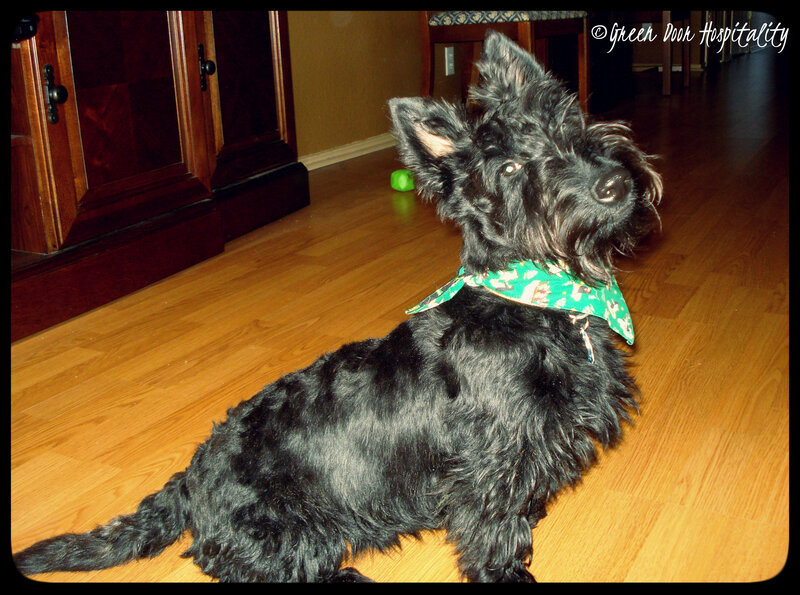 This entry was posted on February 5, 2014 by Jessica Romigh in Wordless Wednesday and tagged Dewars, photography, puppy, Scottish Terrier.